As a self-proclaimed girly girl, I love trying out new skincare and beauty products whenever I get a chance. Oftentimes the good stuff can be pretty pricey so I’ll usually grab a travel/mini-sized product to see if I really like it before I splurge. 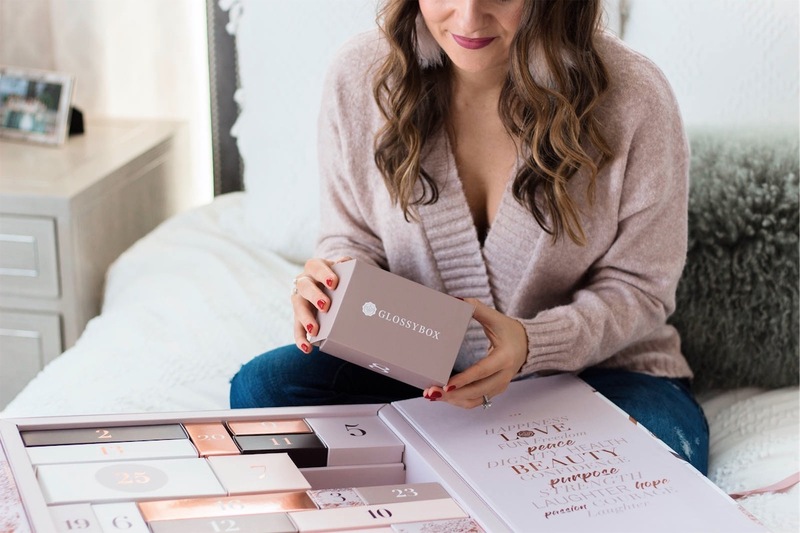 Today I’m giving you the scoop on GLOSSYBOX, the best way to treat yourself to new beauty products each month! 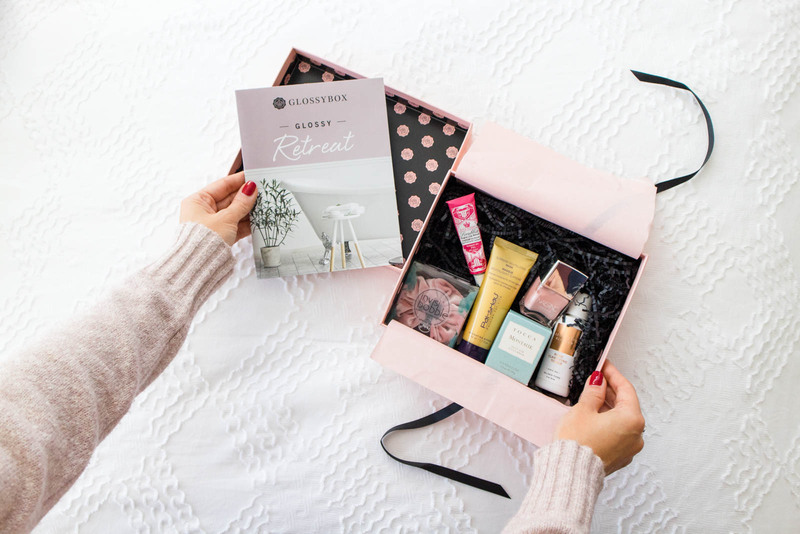 GLOSSYBOX is a subscription box that delivers 5 new beauty products to your door each month. You can choose from a recurring monthly subscription for $21/month or opt for the 3, 6, or 12-month options which each provider greater savings. 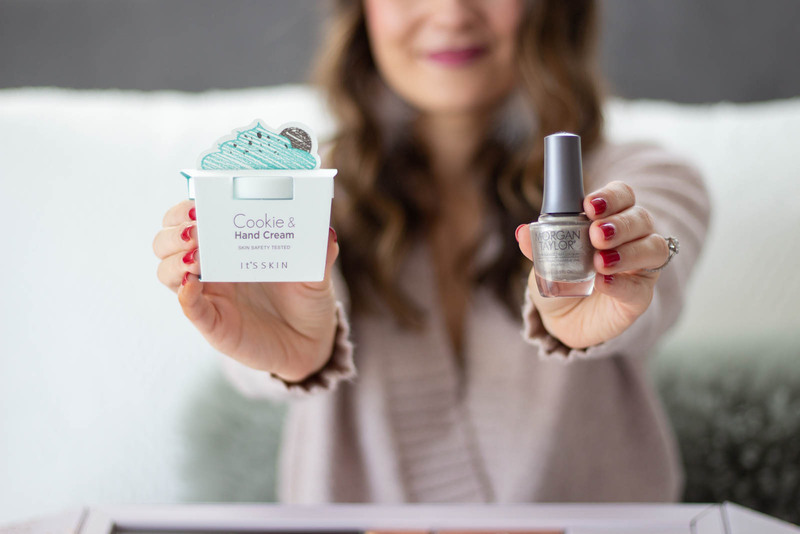 Whether you’re looking for a unique gift idea or just wanting to treat yourself, this is the perfect way to try out new beauty products and mix up your getting ready routine. GLOSSYBOX was kind enough to also send me their Advent Calendar Box for this year and all I can say is wow!! The packaging is out of this world and who wouldn’t love to find this under the tree OR open up each box leading up to Christmas?! There are 25 beauty products inside and I don’t want to give away all of the surprises since this is an advent calendar after all BUT a few favorites were nail polish, hand cream, and a face mask. Get yours here! I hope y’all enjoyed this GLOSSYBOX review! I think subscription boxes are a great way to experience new products that you otherwise wouldn’t try and they also make a great gift for that person who has everything. If y’all have any specific questions about this box, feel free to leave them in the comments below. And speaking of gifts… have you guys gotten a start on holiday shopping?? I am currently working on some gift guides and will have them coming to the blog very soon! Thanks for reading & Happy Friday! This post was written in partnership with GLOSSYBOX and Shopping Links. All thoughts & opinions are my own. Omg that advent calendar is AMAZING!! 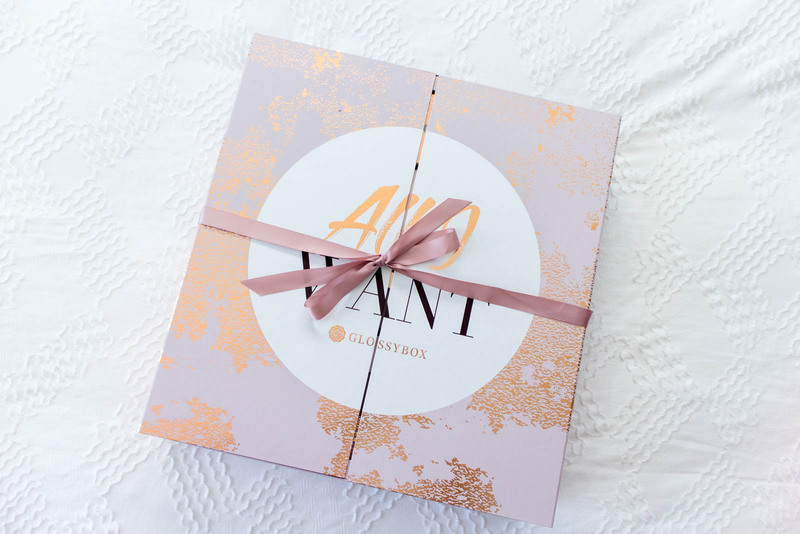 I’ve heard so many great things about GLOSSYBOX, I really should try them out! I love services like Glossybox because I need to try beauty products before I buy them. That Advent calendar is beyond cool!! I wish I had one so badly!! What a great box. Love the packaging. Haven’t tried any of these products. This advent calendar is TO DIE FOR! OMG! I am so obsessed with these. This looks awesome, I wanna get one! Ooh I’ve heard SUCH great things about Glossybox! I’ll have to try! TOCCA candles are the best! I have them and love their scents. This is my kind of advent calendar! I love that you get a make up/skincare goodies each day! I got this advent calendar too and it’s AMAZING! Such a fun way to celebrate the holidays!